If you are a Sunshine Wedding Spain bride and you have opted for a much warmer climate and are getting married in Spain, not only do you need to think about what type of dress you will be wearing to match the style of your venue, but the shoes you decide to wear are also a very important part of your day. With such an array of wedding venues in Spain and destinations such as; the quaint town of Mijas with its cobbled streets, the white sandy beaches in Marbella in Malaga southern Spain, the picturesque island of Majorca hosting sophisticated & romantic rustic venues, or the cultural and historical City of Barcelona. The question is will the shoe fit the wedding location in Spain? 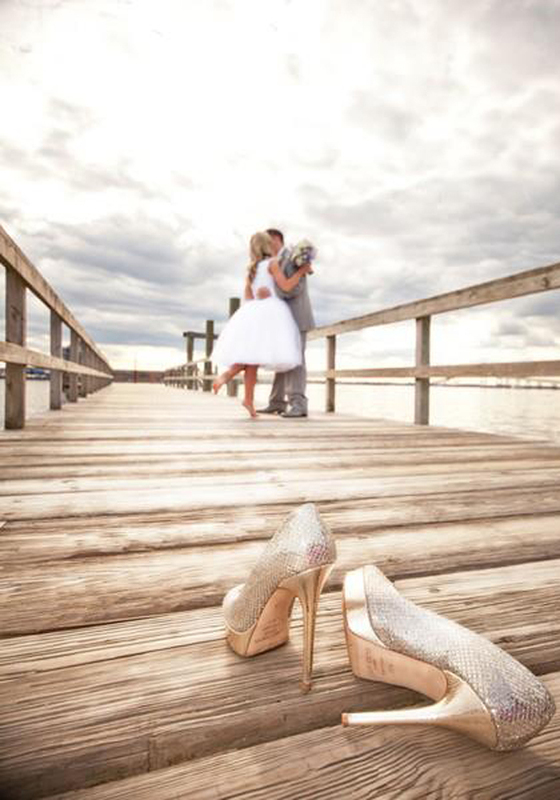 Most brides have a particular style of shoe they like to wear from a wedge to something a little more vintage, or with an extra bit of “bling”, whatever your taste you should consider the type of venue you have booked before you choose your wedding shoes. Sunshine Weddings Spain spoke to “Heels Off”, a company that specialises in flip flops for brides and their wedding guests, to find out a little more about the idea of wearing flip flops on your wedding day. “Heels Off flip flops are a great alternative to wearing wedding shoes if you have chosen to have a beach wedding in Spain. Flip flops will only add to your beach wedding theme, and are a fantastic idea for your female guests to wear and can be given away as keep sake gifts. Girls love to dance and even if you aren’t having a beach wedding they are still a great way to keep your dance floor full! The bride can get her pair of Heels Off flip flops crystallized by ‘Crystallize This’ in a colour to match her dress for an additional cost. Whatever style of shoe you choose on your wedding day, getting married in Spain means fun in the sun, and with the idea of wearing flip flops at some point on your big day you can party the night away until your hearts content. Weddings In Spain – Ideas & InspirationsWeddings In Spain – Let The Season Begin!